Not a Résumé/CV. Just an informal overview of more than fifty years in the I.T. Industry… which means dates are approximate! Currently I am working as an app developer, specializing in motorsport-related apps for both iOS and Android markets. Please see the Motorsports Page for more details. 1995 – 2011 … CMY SYSTEMS SDN. BHD. CMY Systems was a family-owned and operated IT consulting company, which over its many years tackled a wide variety of projects. It grew out of the KCS companies mentioned below, and its early years coincided with the nascent and growing popularity of the internet. Having been involved with the internet for many previous years, in order to help popularize it and at the same time generate new business, we put this experience to good use by giving introductory talks and presentations to companies of all sizes. These included well-known organizations such as Bank Negara Malaysia (the national bank), Malaysia Airlines, The Sapura Group, Royal Brunei Airlines, FPT Ltd. in Vietnam, Emirates Airline in Dubai, the Automobile Association of Malaysia, plus a number of Business Councils and Chambers of Commerce. Presentations were also made at an IATA Information Technology Conference and Exhibition held in Kuala Lumpur, which we also helped organize. Conference and Exhibition Management became an important part of our operation, with services being provided over many years to companies such as Citibank and Malaysia’s Southern Bank. Other major customers for these and IT services included Exxon Mobil and one of South Africa’s largest companies – Murray and Roberts. In addition to giving the talks mentioned above, we also designed and produced marketing presentations and publications for our clients. I was also a part-time journalist, writing mostly about website development, and a regular conference speaker on various IT and publishing topics. As companies adopted internet technologies we provided complete solutions – comprising Linux Servers, routers and other network equipment and cabling, plus PC-based workstations. Initial configuration and ongoing support were part of this service. Installations varied from small offices to large factories and warehouses, needing anywhere from five to fifty workstations. Many of these companies required custom-designed software solutions, which was also one of our specialties. Some of these solutions needed large database management tools, some were simpler – employing MS Access, whereas others were web-based. In later years, web development, content development & management, and web-based solutions became a major part of our business activities. 2005 – 2011 … just4airlines.com SDN. BHD. I was Managing Director, and part owner of just4airlines.com for a number of years. It provided a web-based service to airline and travel industry employees – principally operating a search engine of vacation properties which would give discounts to travel industry personnel. During my first years in Malaysia I worked for and part-owned a number of companies, which were all interlinked in one way or another. When I moved from Canada, the company I joined was a start-up venture Systems Technology and Telecommunications Sdn. Bhd. STT was the first company in Malaysia to create and operate a Computer Disaster Recovery Center. After a year or so at STT I founded Kompass Computer Services Sdn. Bhd. and Kompass Publishers (M) Sdn. Bhd. The latter was a joint venture between STT and other investors which included the Kompass Group based in Zürich, Switzerland. Kompass Publishers was the franchise holder for the Malaysian edition of the Kompass trade directory; while Kompass Computer Services provided general IT services to many companies, especially those in the Kompass group. It custom-designed software which maintained the databases needed to build and publish the Kompass directories. The software was successfully deployed in many countries around the world. Airline Software (M) Sdn. Bhd. which morphed into Kompass Aviation Services Sdn. Bhd. was formed a short while later, with a mandate to market, in the Southeast Asian region, the software products developed by Airline Software, Inc. of New York. After a few years I sold my shares in Kompass Publishers and effectively had no further dealings with the Kompass Group. As a result, Kompass Computer Services, which was always known as “KCS”, was renamed KCS Computer Services and continued to provide a wide range of IT services in Malaysia and Singapore. One of it’s main offerings was a comprehensive accounting system developed in Canada and customized by us for the local market and the needs of local companies. At around this time, KCS Training Services Sdn. Bhd. was formed, initially to market the services of one of British Columbia’s largest Community Colleges, and later to do general IT training. Things changed again when the two KCS companies were combined with a large Singapore-based PC manufacturer. The objective was to be able to provide complete PC-based IT solutions … but the investment was insufficient, and the combined company was eventually wound up. As a result, Kompass Aviation Services was renamed CMY Systems Sdn. Bhd. (see above) and our IT services continued uninterrupted. I was a founding Board Member of the Council, and served in many honorary capacities, becoming President in 1997. 1982-1987 … ANTARES COMPUTER SERVICES INC.
Based in Montréal, Antares was my first venture as an entrepreneur. I was part owner and company President. The company specialized in microcomputer-based solutions beginning with 8-bit CP/M hardware, and moving to S-100 bus Unix solutions. 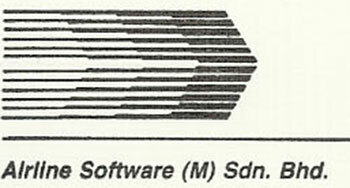 Most software was developed using dBase II/III for CP/M, and C language and shell scripts for Unix. We had a wide variety of clients from a major textile importer, to one of Canada’s largest specialty metal producers. For the latter, we implemented a data collection solution factory-wide, gathering information about the precise amount of each type of raw material that entered the smelter, and the quantity of metal produced. This was a challenging task in a hostile environment, that required custom-designing and programming micro-controllers that were distributed throughout the foundry. Also, considerable IT consulting work was undertaken for companies in the Canadian Pacific Group, especially CP Rail. After joining IATA I worked for just over two years in the Geneva, Switzerland office before transferring to the Head Office in Montréal, Canada. I held many positions from Business Systems Analyst to Manager, Cargo Automation Services, and finally Director, Industry Computer Services. Although all positions were related to Information Technology, I focused more on how IT was employed within the industry and how it could be used to streamline several key functions. I was responsible for the creation and operation of the Interline Data Exchange Center in Geneva, and the Cargo Accounts Settlement System in Sydney, Australia. The latter was a start-from-scratch venture that required sourcing office space, personnel, mini-computers and custom-designed software, not to mention convincing all the cargo airlines and freight forwarders in Australia that they really needed such a system! I was also responsible for the automation of the ULD Control Center in IATA’s Montréal office – which handled interline billings and tracked damage to all IATA member airlines’ Unit Load Devices. Much of my work involved negotiating, persuading, and at times arm-twisting via a wide variety of airline committees, plus organizations peripheral to the movement of people and cargo, such as the U.N., national Trade Facilitation organizations and Customs councils. Being responsible for people and projects in Montréal, Geneva and Sydney, while at the same time running committees that were likely to meet anywhere on the planet, my travel commitment for many years was roughly equivalent to a US Secretary of State! 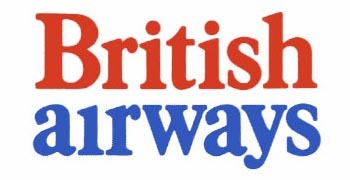 British Airways has been around so long that not many people will recall that it was formed in 1974 by merging British Overseas Airways Corporation with British European Airways. From an IT perspective, that created all kinds of interesting headaches, with the two founding airlines having totally incompatible hardware and software. For most of my time at BA I was involved in the automation of airline fares processing. This included the monthly production of the Airline Tariff Manuals, on behalf of a consortium of airlines, plus the feeding of fares data to automated proration and online fare quotation systems. Some of these computer solutions were multi-million (and today would be multi-billion) dollar ventures that often would be undertaken by a group of airlines. One such project I was responsible for was a joint venture with Pan American Airways, and required me to travel regularly to New York, to oversee both parts of the project. I was also the BA delegate to many IATA committees, especially those related to fares automation, so overseas travel was a major part of my job. There’s not much I need to say other than the fact the company was run like a Victorian sweat shop, and it’s the only time I was forced to code in COBOL! I didn’t stay long. English Electric was a computer manufacturer that struggled to compete with the omnipresent IBM. I started work during the period when “second generation” systems were being built. I did though have a chance to program one of the first generation of digital computers, which featured walk-in cabinets filled with electronics and components! 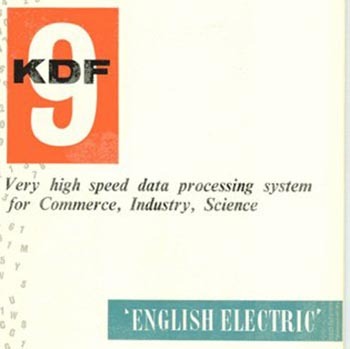 Although I did a lot of programming, both supporting customers and specializing in programming-language translators, one of my major tasks was to oversea a one year, which became a two-year acceptance test of an English Electric KDF9 at Birmingham University in the British Midlands. This was a keenly watched affair within the industry, as it was felt the acceptance by one university, would lead to many more sales. Luckily, the test was concluded successfully. English Electric gave me a good grounding in the computer industry. It became far more than a programming job, and needed a good understanding of how the systems were marketed, and how we matched a client’s requirements to the solution that was proposed. It also introduced me a concept so common in the computer industry of working non-stop from one morning through to the following evening.